When contacted, OCM said Ung was appointed after an extensive hiring process involving 60 applicants. “The shortlisted applicants were interviewed by an OCM panel and each one gave their markings,” OCM deputy president Abdul Azim Zabidi told FMT. “In the end, we tabulated the marks and she got the highest votes,” he said. Azim said Ung’s experience in dealing with sports associations was also a plus. Among others, she had served as an assistant general manager at CIMB Foundation, which was actively involved in a number of sports including squash, cycling and rugby. When asked about her past associations, Azim said they were not of concern as she was not implicated in any investigations. “She was just an employee. In any foundation or NGO, when you get a donation, you just accept it. You don’t really go behind the people to ask where the money came from. “We look at her experience and what she brings to the table,” he said, adding that Ung would be tasked with taking OCM’s operations to the next level. Why is Ung Su Ling not under investigation, interrogated for information on everything that she would know? The statement by OCM deputy president Abdul Azim Zabidi (in bold letters above) is wholly incorrect. Anti Money laundering laws in Malaysia and in most parts of the world today require that charities and NGOs make all necessary inquiries as to the source of funds. Consequently, it is only prudent that the OCM’s accounts be frozen, its records seized, and a full investigation of all transactions be conducted. The OCM’s ordinary business involves the payments of relatively small sums of money to entities in Malaysia and all over the world,and it has done so without question for more than 50 years. It provides an ideal conduit for anyone wanting to disperse large sums in small amounts that will not attract the attention of regulators. 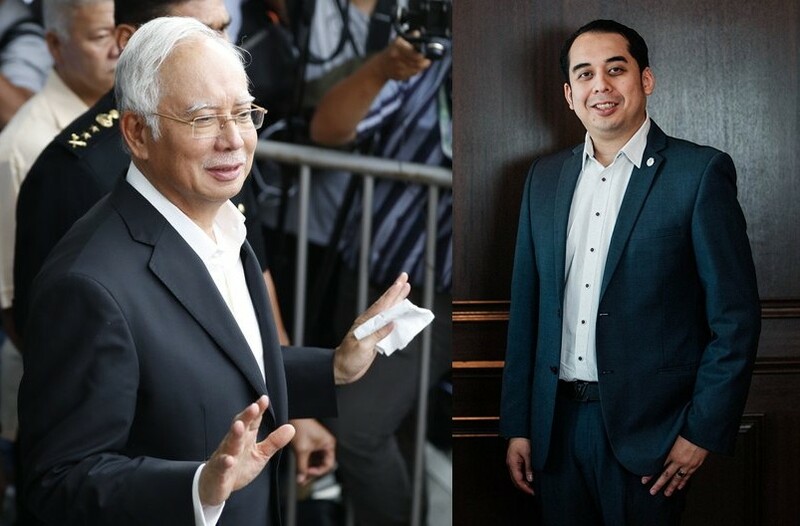 One of his sons, Mohd Nazifuddin Najib, also known as Nazif Najib, was seen dining at a steakhouse and having a massage in Taipei’s top luxury shopping district near Taipei 101 Thursday, according to the Apple Daily. The newspaper identified the woman in Nazif’s company as a Taiwanese actress in a current Sanlih E-Television soap opera, Celia Chang (張東晴), 34. They spent more than three hours at the steak restaurant inside the Breeze Xinyi shopping mall eating and drinking one glass of red wine after the other, while Chang seemed to be explaining the Taipei scenery outside the window, the Apple Daily reported. The newspaper wrote that they took a taxi to a massage parlor, had a candlelight dinner, spent two hours at a pub and took another cab to the Grand Hyatt Taipei at 1 a.m. It is clear that Ms Chang is more acquaintance than girlfriend. It does not seem as if Nazifuddin was in Taipei seeking solace, but rather on an urgent business trip. The above adds to earlier reports on this clog about money in Taiwan funding interests associated with Najib Razak. 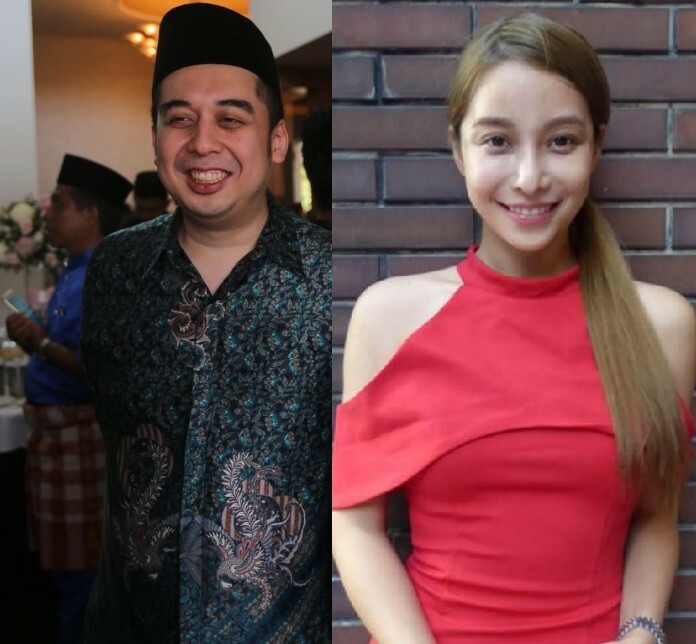 Evidence is emerging that someone in Taipei, Taiwan, has been informed of this writer’s queries concerning the matter of Sirul.The emergence of this evidence coincides with Sarawak Report’s revelation that Low Taek Jho, aka Jho Low, has sought refuge in Taiwan. Given that Jho Low has been “tied to the 1 MDB inquiry” a link between 1 MDB and and the matter of Sirul Azhar Umar may soon become apparent. While in detention Sirul’s ability to receive any significant amount of cash is non-existent.It is highly unlikely that he even has a bank account in Australia.The same can be said for his teenage son who remains in Australia. Even if released any receipt of funds on their part will be very closely scrutinized. Consequently all this money or promise of money swirling around Sirul is indicative only of a presumed right to keep him silent.For so long as he remains in detention others can lay claim to that right,and trade it with anyone who is willing to pay. It appears that Jho Low created the market but it is unclear if he still has the finances to keep that market liquid. With accounts being frozen in Singapore and Malaysia it is likely that the market has dried up.Nevertheless, some may be living in hope. While Sirul Azhar Umar remains unrepresented those who have laid claim over him, or who have been reported to be his legal advisors have refused to say who pays or has promised to pay for their services. You have no standing nor do you have any legitimate interest in this matter. Your attempts to interpose yourself and your strategy of “divide and rule” is not only unprofessional but also unethical.